Morgans Apartment Hotel of Sydney is a stylish Sydney boutique Hotel, offering serviced apartment style accommodation and basic budge rooms, located in the cosmopolitan Darlinghurst area of Sydney, known for its many fine restaurants, bars and cafes along with a wide variety of entertainment options. 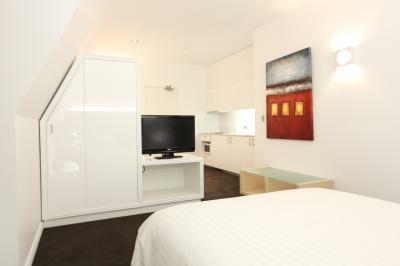 Morgans of Sydney offers Studio and One Bedroom suites with elegant furnishings, kitchens and air conditioning. 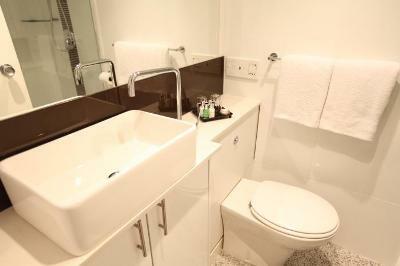 This well appointed boutique has modern, stylish studios and one bedroom apartments. 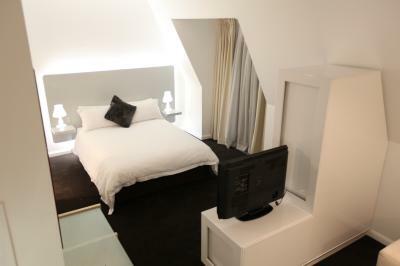 The setting is intimate and personalised... a great base from with to explore Sydney's inner city and its charms. 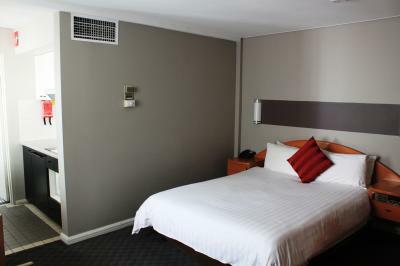 Located in Darlinghurst, just minutes from the CBD, Morgans is in one of Sydney's most popular inner eastern suburbs. The area is renowned for its vast array of bars, cafes and restaurants and vibrant bohemian atmosphere. 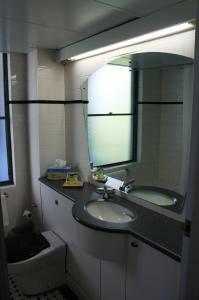 Morgans is centrally located within 100 metres of major public transport facilities and the Airport Express. Only five minutes ride to all of Sydney's major attractions - Opera House, Darling Harbour, Harbour Bridge. Only 30 minutes to the Domestic and International Airport Terminals. Morgans of Sydney is an Art Deco boutique hotel and restaurant on the cafe strip in Victoria Street Darlinghurst. 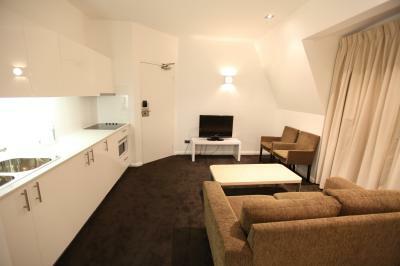 26 suites with kitchens, ensuite bathrooms, free-to-air TV, Air/cond and video intercom security. 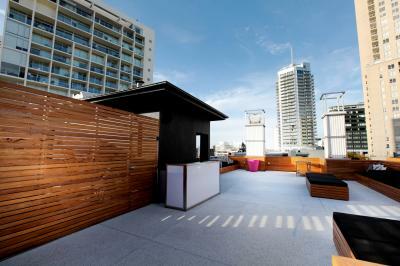 Roof terrace for the use of in-house guests offers views to Opera House and Sydney Harbour Bridge. Please note: The Cancellation and No-Show policy is strictly enforced. 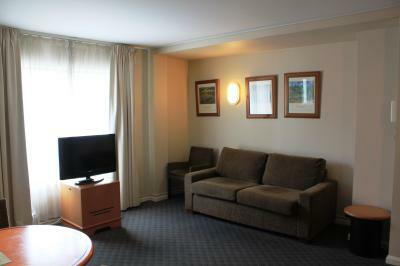 Ensure you are aware of the policy that applies to the room type booked. No one night stays are accepted over weekends. A valid credit card and photo ID must be provided at check in (person booked in). Guest must also sign "NO PARTY POLICY". Directions to parking: Morgans Boutique Hotel does not have onsite parking.The hotel rents some car spaces at the nearby ‘Secure carpark station’ on 33 Bayswater road, Potts point. 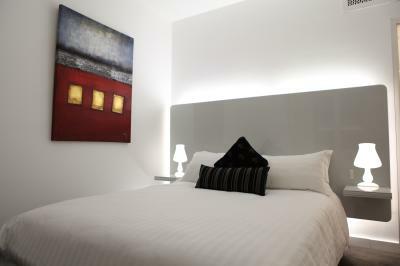 Only subject to availability once you arrive at the hotel and it cannot be reserved prior to your arrival. Charges are $16 (Mon-Thurs) and $20 (Fri-Sun). To gain entry to the carpark you must collect a pass from hotel reception.If there is no availability of car spaces at the ‘Secure Carpark’ then you can park directly across the road at the ‘Star Car Wash’. The carwash costs guests $30 for 24 hours of parking. You must pay the Star carwash attendant upfront to receive a ticket which must de displayed on your car dashboard when parked at the Carwash.Hotel does not take any responsibility for both carparks (Carpark is a third party - separate business to the hotel). Morgans Boutique Hotel is 7 out of 10 based on 2 customer votes & Yelp reviews.